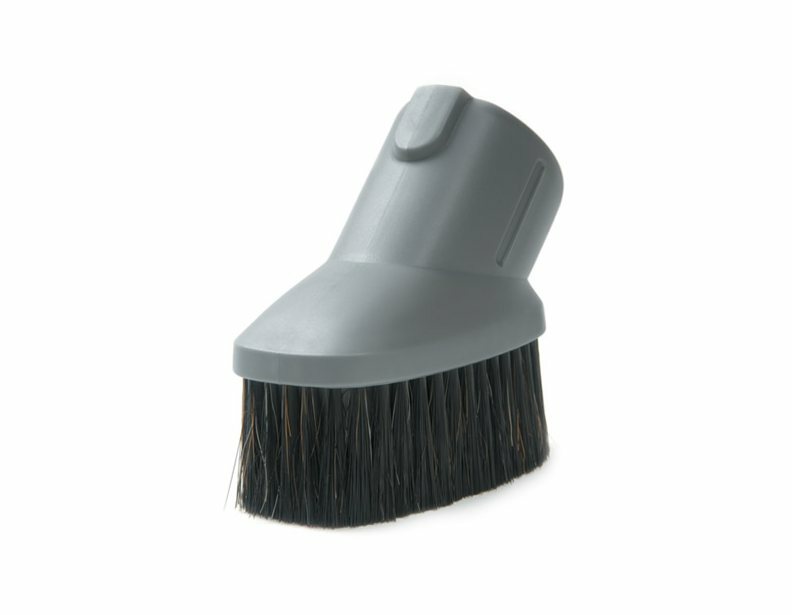 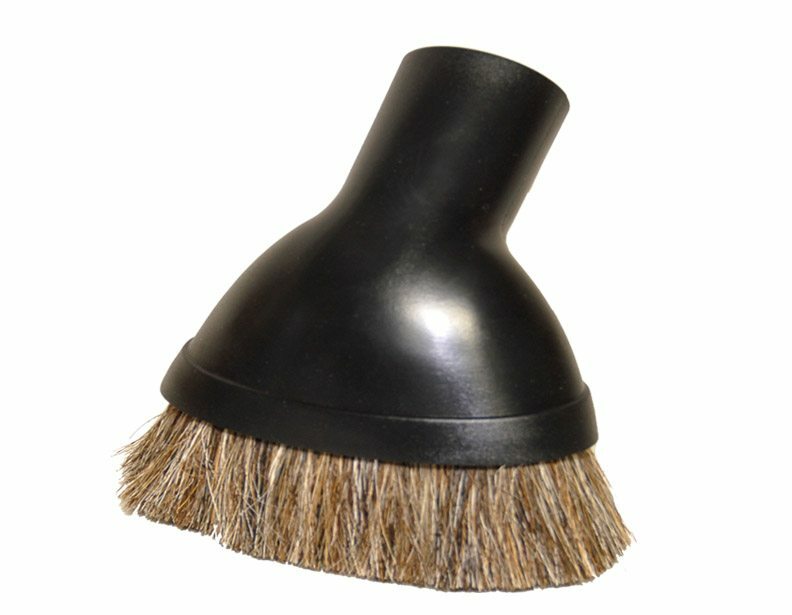 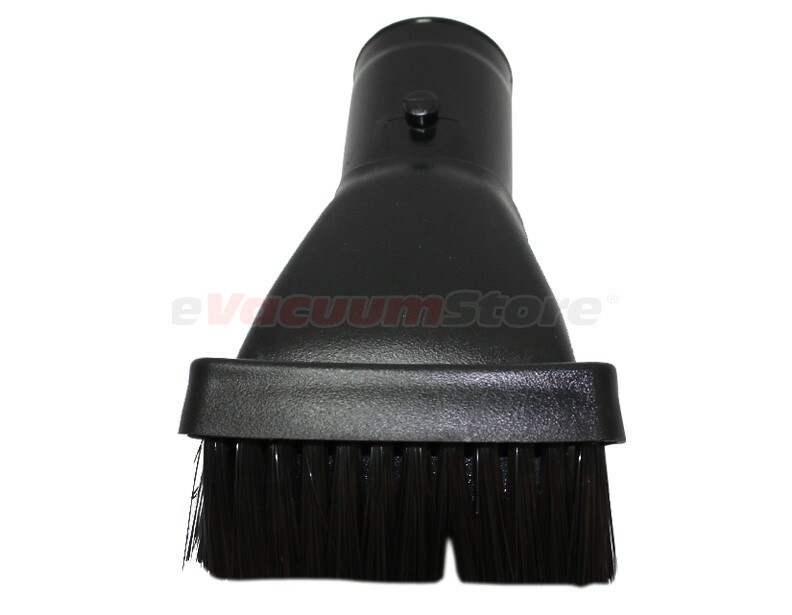 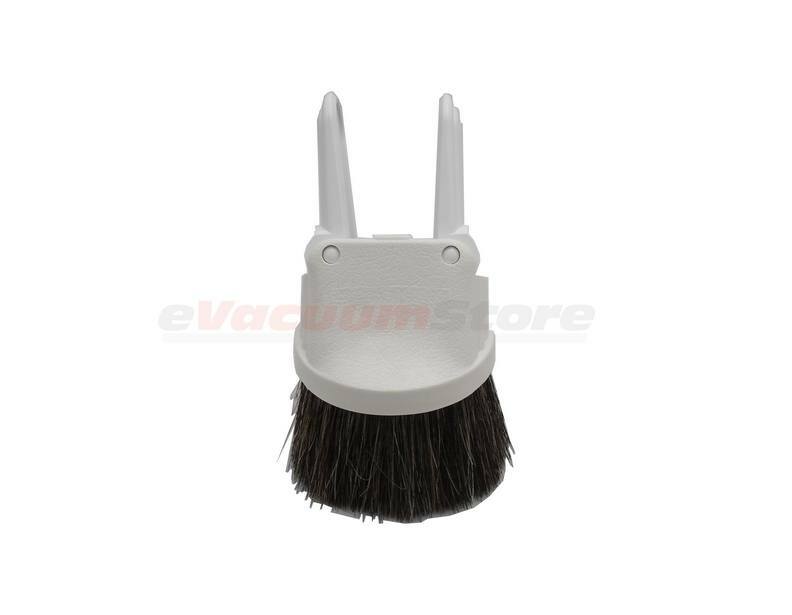 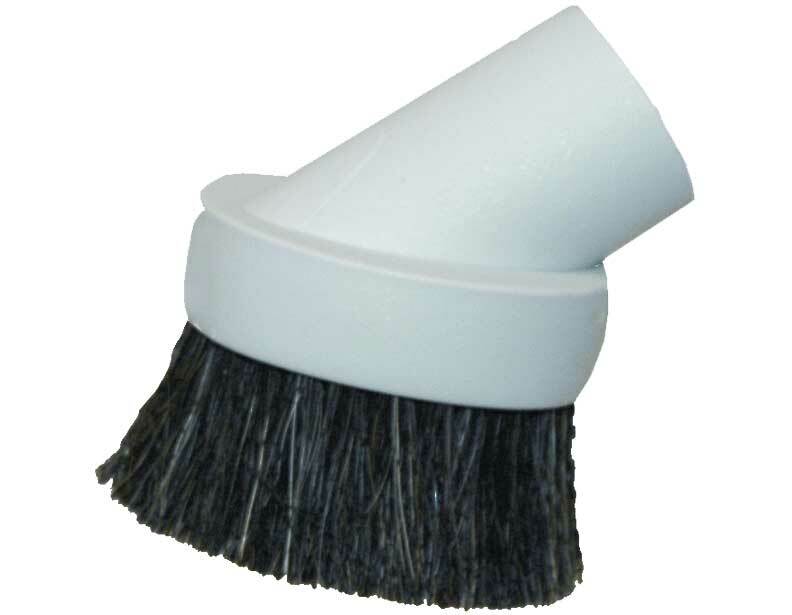 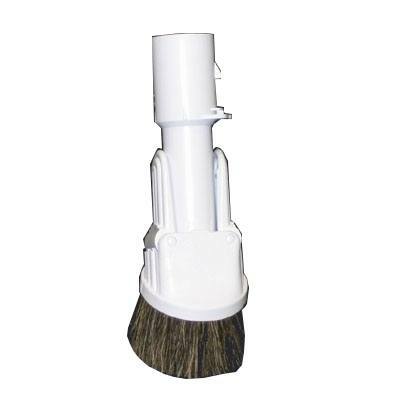 The majority of the central vacuum dusting brushes shown here use soft bristles and have a 1 1/4" circular fitting, which is compatible with a majority of central vacuum hoses. 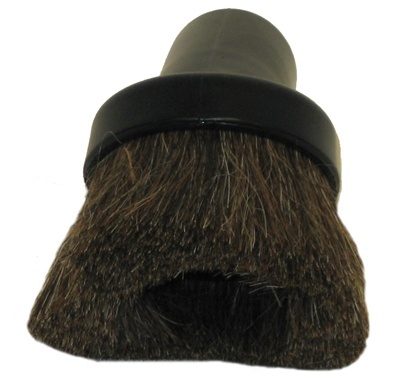 However, there are also a couple of brushes here that use a proprietary fitting, so please call for assistance if you're unsure of which brush you can use for your system. 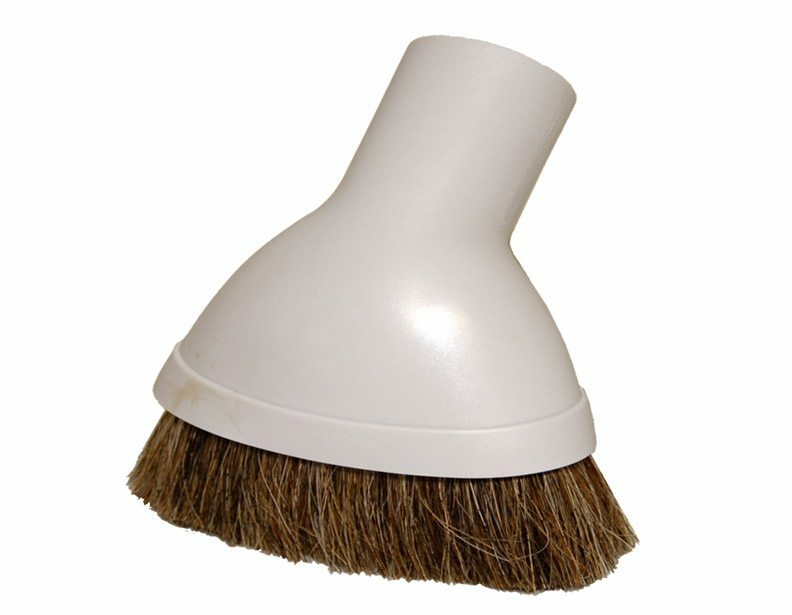 This style of brush is ideal for use on base boards, drapes, lampshades, curtains and other dust ridden areas around a home. 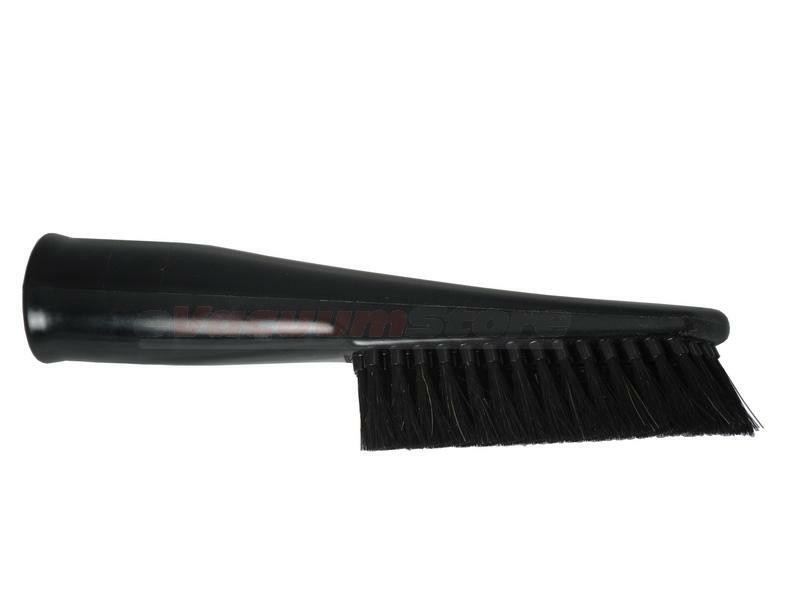 Make sure to contact the team of representatives at eVacuumStore by calling 866-972-8227!